In 1843, President John Tyler came out in support of annexation, entering negotiations with the Republic of Texas for an annexation treaty, which he submitted to the Senate. On 8 June 1844, the treaty was defeated 35 to 16, well below the two-thirds majority necessary for ratification. Of the 29 Whig senators, 28 voted against the treaty with only one Whig, a southerner, supporting it. The Democratic senators were more divided on the issue with six northern Democrats and one southern Democrat opposing the treaty and five northern Democrats and ten southern Democrats supporting it. James K. Polk, a Democrat and a strong supporter of territorial expansion, was elected president in November 1844 with a mandate to acquire both the Republic of Texas and Oregon Country. After the election, the Tyler administration realized that public opinion was in favor of annexation, consulted with President-elect Polk, and set out to accomplish annexation by means of a joint resolution. 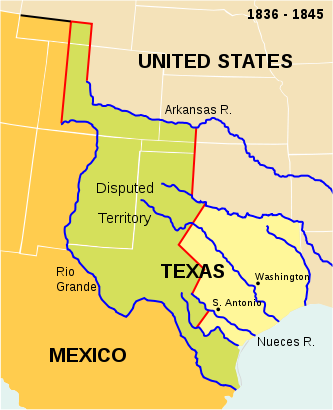 The resolution declared that Texas would be admitted as a state as long as it approved annexation by 1 January 1846, that it could split itself up into four additional states, and that possession of the Republic’s public lands would shift to the state of Texas upon its admission. On 26 February 1845, about a month before Polk took office, Congress passed the joint resolution. Not long afterward, Andrew Jackson Donelson, the American chargé d'affaires in Texas and the nephew of former president Andrew Jackson, presented the American resolution to President Anson Jones of Texas. In July 1845, the Texan Congress endorsed the American annexation offer with only one dissenting vote and began writing a state constitution. 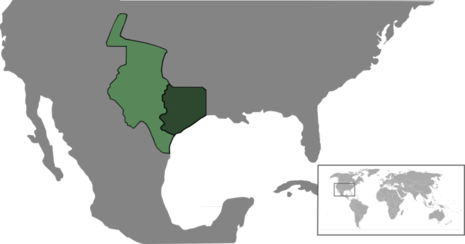 The citizens of Texas approved the new constitution and the annexation ordinance in October 1845 and Polk signed the documents formally integrating Texas into the United States on 29 December 1845.